We discovered something new recently…… a donut pan! Say what? 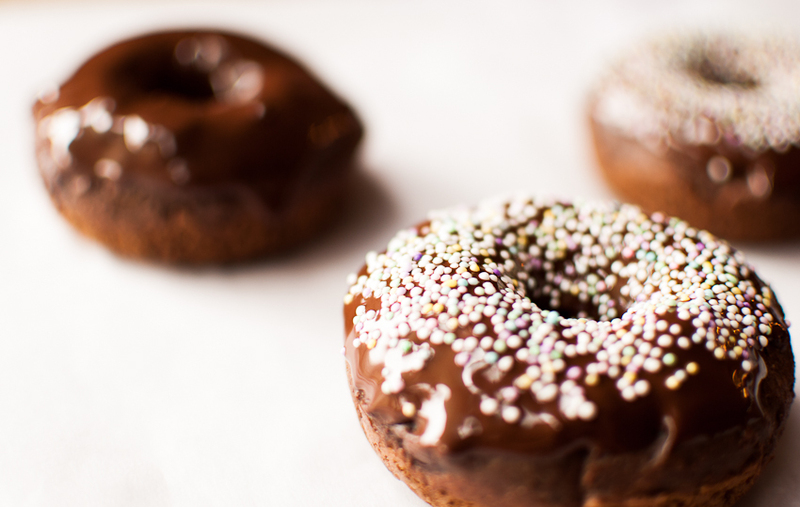 Baked donuts, not fried…they seem to be all the rage right now! But, I warn you, not to be confused for a “healthier donut”, they still have all the sugar like their fried cousins. I will say that I DO like the baked version over the fried version, these are not greasy at all. They taste fresh, and very chocolatey. Need to get your chocolate fix on? This recipe will satisfy your craving in a few bites! 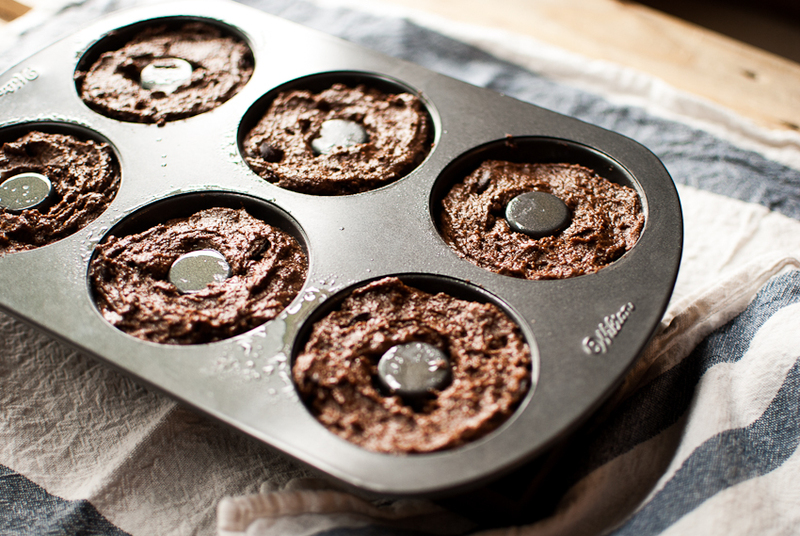 The batter resembles muffin batter, it’s thick, chocolatey and gooey, ready for the oven! I found my donuts pans at Sur La Table, you can also buy them on Amazon. They are slick little pans, you can have fresh donuts in less than 15 minutes! Last Fall we made pumpkin donuts…I need to post that recipe, I know. It’s fun for the kids to see the donuts rise and come out of the oven fresh. And what ever toppings you like, just add them after your frosting. We used toasted coconut and sprinkles. Here in Portland, we have this famous donut place called Voodoo…you know, good things come in pink boxes, that’s there moto… My kids loooove that place. But I say hey, I can make better donuts! I always like a challenge, and I think I succeeded, they inhaled these donuts so fast, there were no left overs to take to the office the next day! Voodoo who? In a large bowl mix the eggs, milk, and olive oil until well combined. Add remaining ingredients, except for the 1 C of chocolate chips for the glaze. Mix well, batter will be a little thick. Baked donut batter resembles a thicker muffin batter. Spray donut pans with cooking spray. Evenly spread batter in pans. Bake for 15 minutes. Let cool in pans for 3 minutes then transfer to a wire rack to cool. 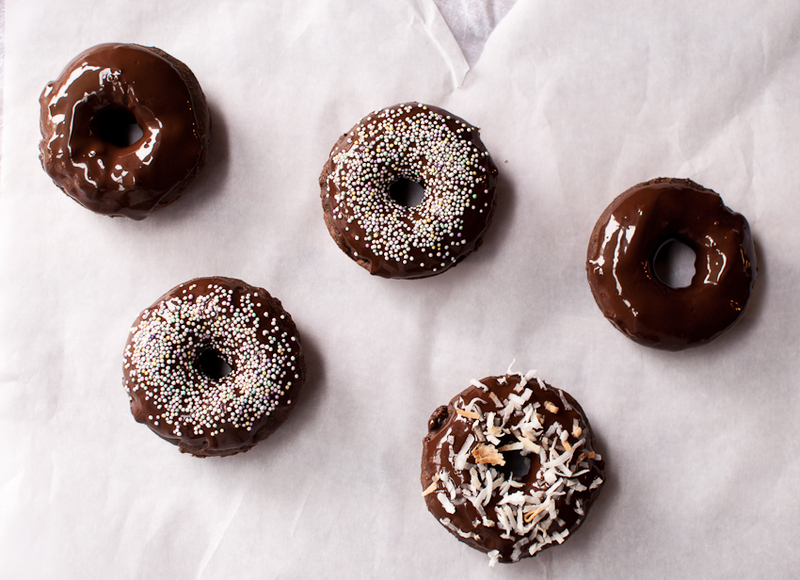 When donuts are completely cool, make glaze. In a double broiler ( a pan with water and a glass bowl over the top of it) melt chocolate chips over medium heat until melted. 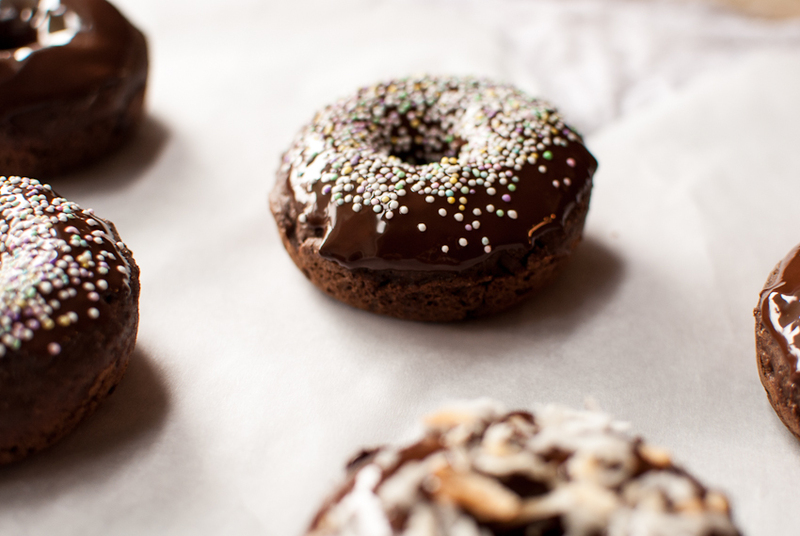 Remove from heat and dip donuts in chocolate, sprinkle toppings on top. Oh yum, your donuts look so good!! 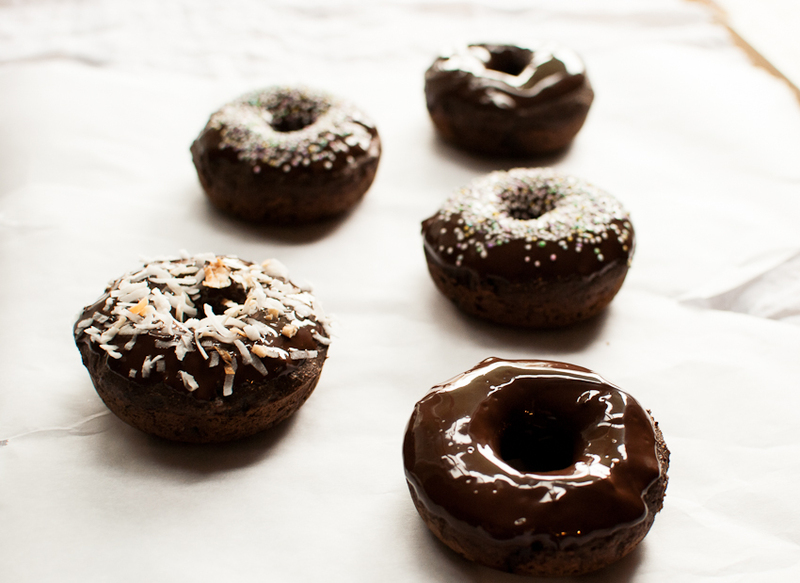 The baked doughnuts look amazing…love the clicks. Yum! And I’m sure you could bake better donuts than Voodoo. ??? ?